Stormy Daniels isn't letting a $20 million lawsuit stop her from speaking. The adult film star, who says she had a sexual encounter with Donald Trump more than a decade before he became president, appeared on "The View" this morning and said she's choosing to speak out "because I'm tired of being threatened"
Her appearance on "The View" comes a day after she attended a Manhattan court hearing related to the FBI raid on the office, home and hotel room of President Trump's longtime attorney Michael Cohen. Cohen has admitted he paid Daniels $130,000 in 2016, just weeks before the election. In a statement to ABC News in February, Cohen said it was a private transaction using his "own personal funds" that were paid to Stephanie Clifford, Daniels' legal name. That payment was part of a non-disclosure agreement, and Trump’s legal team filed legal papers in March saying that she has violated the terms of that agreement at least 20 times, which would amount to $20 million in damages based on the agreement’s $1 million penalty clause. 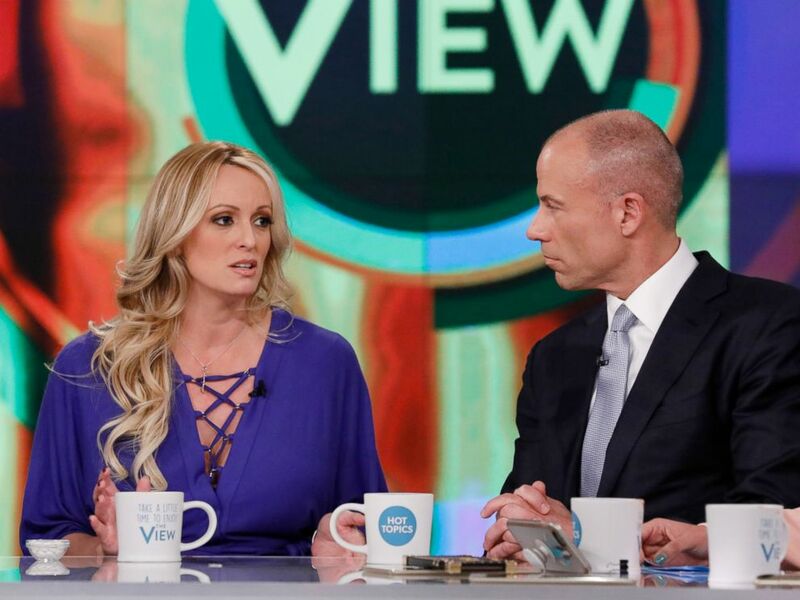 Stormy Daniels and her Attorney Michael Avenatti appear on "The View," April 17, 2018. Daniels and her attorney Michael Avenatti denied that her trip to the courtroom Monday was a publicity stunt. Daniels reiterated her claim that she was threatened by an unknown man in 2011 who approached her in a parking lot. The man allegedly said her young daughter, who she says was in a car seat at the time, was beautiful and that it would be "a shame if something happened to her mother.” The man then allegedly said Daniels should keep quiet about her 2006 alleged affair with Trump. When asked why she didn't report the incident to anyone at the time, Daniels said going to the police and explaining why the man allegedly wanted her to keep quiet was "expressly what he told me not to do." She also said that her husband at the time did not know about her alleged affair with Trump. "I was embarrassed ... at that point, he didn't know [about the alleged Trump affair] ... I didn't want him to think I was a bad mom or that I put my daughter in danger," she said on "The View." This artist's drawing released by attorney Michael Avenatti, purports to show the man that the adult film actress Stormy Daniels says threatened her in a Las Vegas parking lot in 2011 to remain quiet about her affair with President Donald Trump. 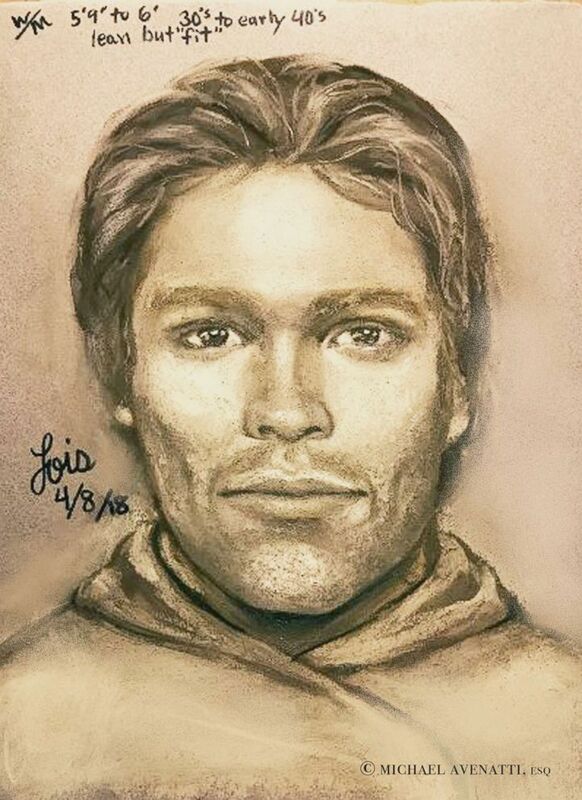 Daniels and Avenatti shared a sketch of the man who they say threatened her, created by a well-known sketch artist. They are offering a $100,000 reward for information leading to the identification of the man. When asked whether they shared the sketch with police, Avenatti said they were "not at liberty to say who" they have shared it with. "We're hopeful someone knows something," Avenatti said. 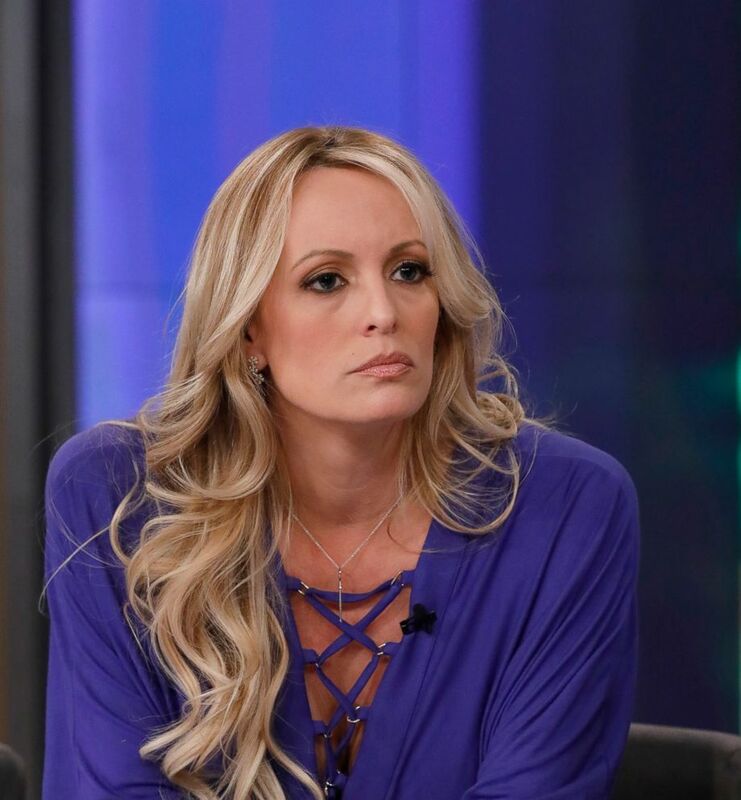 Daniels said she is getting more bookings in the wake of the news of her alleged affair with Trump and the payment she received from Trump's lawyer before the election, but that wasn't the goal. "I am dancing more. I am making more money but I'm spending more money," she said, citing the costs of paying for security guards, special vehicles and tutors for her daughter. "I worked very, very hard the last 10 years or so to really be known as a female director in the adult business," she said. Not all of the changes in her career have been positive, however, with Daniels adding that the investors who had been backing a "passion project" horror film that had been in the works for years "have ghosted me." One of the career boosts came from a national adult club tour that she is going to be a part of, which was named the "Make America Horny Again" tour, she said. Stormy Daniels appears on "The View," April 17, 2018. While she is happy about the tour itself, Daniels said on “The View" today, she does not like the title and is trying to distance herself from it. "I think it’s awful. I think it's cheesy and a play on someone else's idea," she said of the name of the tour. "There's a lot of publicity, but I didn't do it for that because this is not what I want to be known for," she said. "You should see the messages I get: ‘You deserve to have her [Daniels’ daughter] taken away. You deserve to be put to sleep because she's better off [without you] than with you. The very next sentence will be like, ‘You're a national treasure.’ I'm like, wait, what? So it's intense," she said of the newfound fame. "Since all this happened I'm averaging about two hours a night sleeping," she said, adding that she's busy thinking about all the ways the scandal is playing out and everyone it is affecting. Asked by “The View” co-host Meghan McCain what she feels about how it may be affecting the Trump family, Daniels said "that's between him and his family." "If I can inspire or convince a woman who feels that she has been intimidated or bullied or is too afraid to come forward to an accuser or an attacker, then I'm happy," she said.